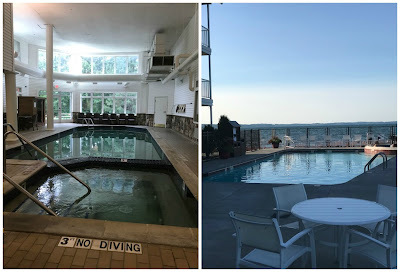 My kids and I recently spent 4 days and 3 nights in Traverse City, MI at the Cherry Tree Inn & Suites and we enjoyed our stay so much! I wanted a relaxing vacation before the kids start school again in a week and this was truly the perfect place to do so. Based just 4.5 miles from Downtown Traverse City, the Cherry Tree Inn & Suites was the perfect location. The Cherry Tree Inn & Suites has a private beach just for those who stay there. The beach also had a wooden play structure for kids (it's to the left in this pic, I didn't get another pic of it). Check-in was a super quick/easy process and they explained breakfast times, pool times and some other amenities offered. Breakfast is served daily until 10am, they offer 24/7 coffee, hot chocolate and tea in the lobby, indoor pool is open 24/7, outdoor pool closes at 10pm. Free wi-fi is also an amenity. Then we arrived at our room!! Torch Lake Suite, About 900 sq ft of gloriousness!! 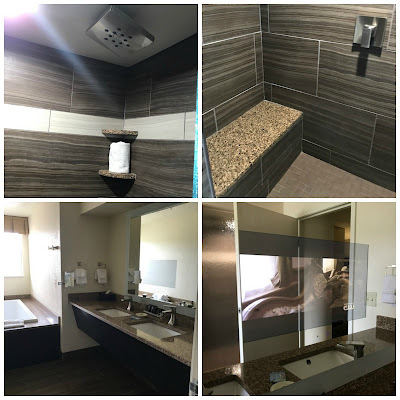 The room had a kitchenette, wonderfully remodeled bathroom with 2 person heated air tub and a separate room with a King Bed! 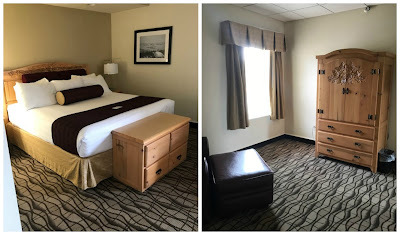 Our stay at the Cherry Tree Inn & Suites was absolutely wonderful and relaxing. We spent quite a bit of time on the beach and in the pool. We visited Mission Point lighthouse, hit downtown and even visited Sleeping Bear Dunes on our way back home (just a 40 minute drive from the Cherry Tree Inn & Suites). Price: Hard to say for sure, but I checked in the future and this room is $184 a night in October!!! SO affordable!!!! Overall: ***** hands down! 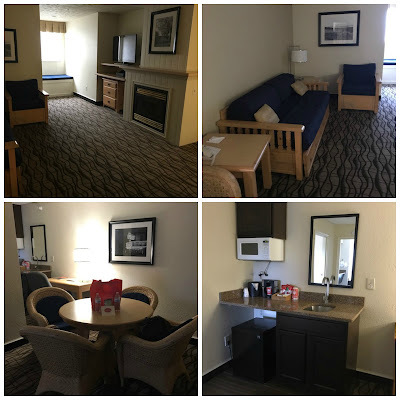 I would definitely stay at the Cherry Tree Inn & Suites again!